The worship area is a large open space which seats about 300 people theatre style. 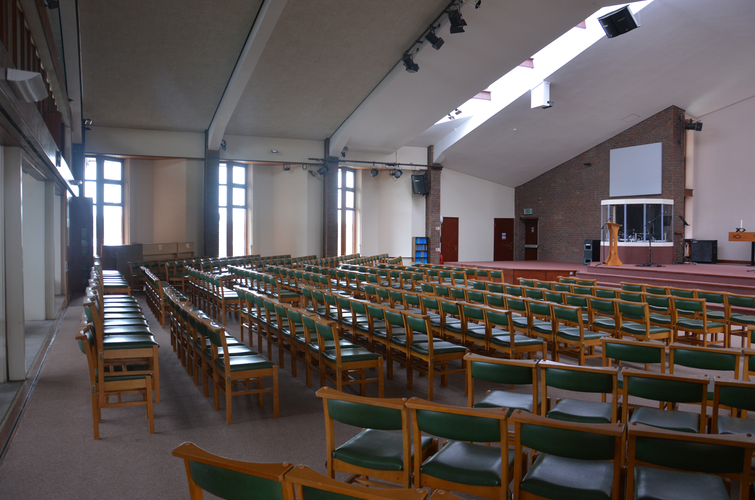 If you require a larger venue space, the sliding doors at the back of the worship area can be opened to allow you full access to the church lounge. Toilets are available off of the church lounge, and include a disabled toilet and baby changing facilities. A fully equipped kitchen with a serving hatch is also available if you would like to cater for your event. Please speak to the office if you have sound and lighting requirements.